Overall, Q3 2018 was a yet another good quarter for fintech industry. Just to name solid IPO of Funding Circle (which will join Netguru's Disruption Forum in London), and the fact that the word fintech has finally joined the Merriam-Webster dictionary. But let’s start with some… tension. 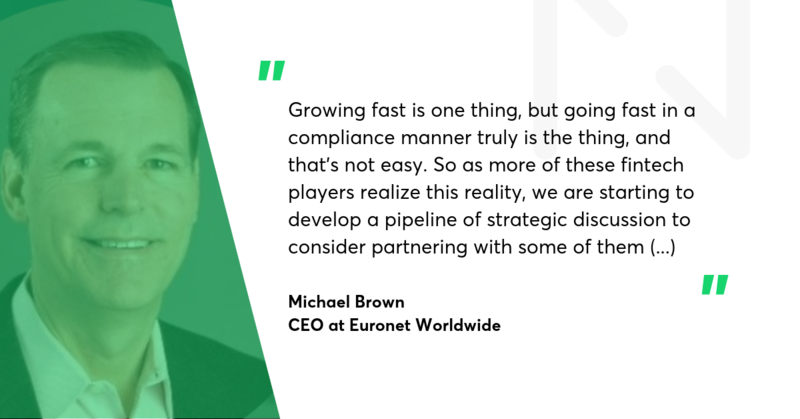 Here are some comments made by Michael Brown, chairman, president & CEO at Euronet Worldwide. 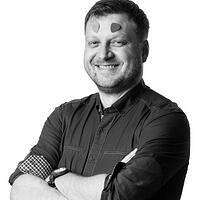 Any guesses which fintech with poor compliance he’s got on his mind? As to acquisitions, and there are plenty around the world, but fintech valuations have been pretty pricey for some pretty marginal assets. Over the last few years, there has been a lot of hype around the fintech industry where companies provide flashy product for consumers and brag about fast transactional growth. Recently, we have seen some of these FinTech companies get hit with a large fine for poor compliance. Growing fast is one thing, but going fast in a compliance manner truly is the thing, and that's not easy. So as more of these fintech players realize this reality, we are starting to develop a pipeline of strategic discussion to consider partnering with some of them on how we can leverage each other's core strength towards mutual growth. We are an incumbent and a new bank at the same time. So in the more incumbent areas, you should expect from us to get the cost really down. But in those areas where we are much more a technology company and in which we are much more a fintech (...) and we're growing so fast that we don't mind cost increase if over time from a customer relationship perspective we do expect the income to increase as well. Interhyp is the largest mortgage broker in Germany. It's fully owned by ING. It's a true example of a fintech that revolutionized a market which was dominated by traditional players. So it started as an online offering and it built also physical distribution and the combination of it is what makes it so successful. (...) This business is a fully income driven business. It has got a very strong profitability. 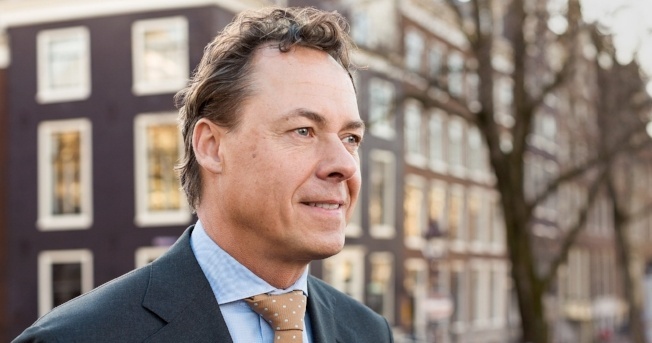 On the overall ING income, it will help. But these are not the numbers that will make our P&L. But it is crucial in terms of building our platform for the future. Anyone looking for fintech impact beyond financial companies should follow Naspers. 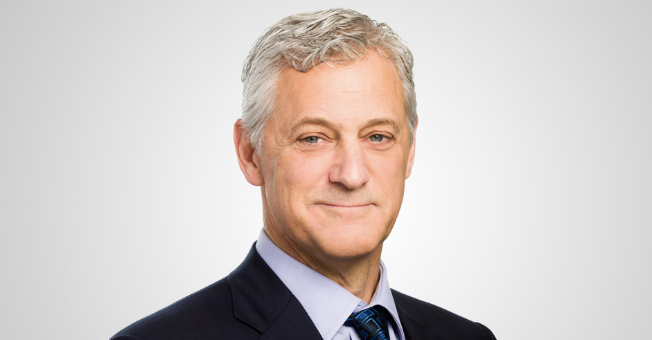 Here’s why - Bob van Dijk, CEO at Naspers. 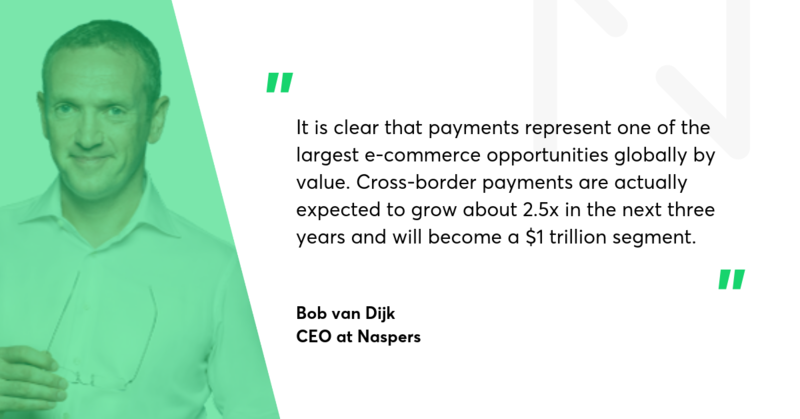 And cross-border payments are actually expected to grow about 2.5x in the next three years and will become a $1 trillion segment. And if you zoom in on that two-thirds, that will actually come from the kind of high growth markets where we have a strong presence. After a few years of doubts, the traditional financial players started to see the wave of change. Our third priority is innovation, speaking to disrupt current business models to find new and better ways to serve our clients. 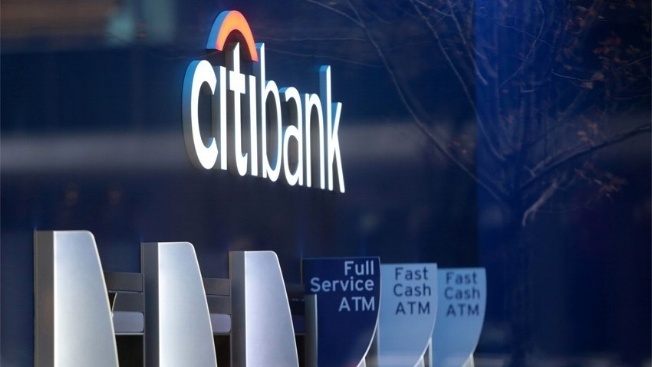 Here we're embedding Citi in emerging ecosystems, working with partners and increasing direct - investing directly in fintech companies and co-creating with clients themselves all to drive Citi and our clients into the future. If you look into the open banking side of PSD2 and you start to see, there’s a whole new space emerging off of new players. Fintech is coming in, looking for different types of business models (...) We just announced our accelerate program at Money 20/20 Europe, where we basically said, “Hey, our partnerships with FinTech are important. Visa is also putting time and money in similar projects. We’re proud to work with some of the leading fintechs chosen by Visa, such as solarisBank. We also launched a $100 million European investment program to support the fintech ecosystem, building upon investments we've already made in companies like Klarna and solarisBank. We're a mid-sized bank. We can't do everything ourselves. We don't have the tech budget of the largest banks in the world. We do have access to the best technology in the world through our FinTech partners. We've got 50 partners around the world, that number will grow as we continue to expand. Interested in what was happening in the fintech industry this year? Check Netguru's Fintech Barometer for Q1 and Q2.